Audrey's layout is about playing outside with her daughter. 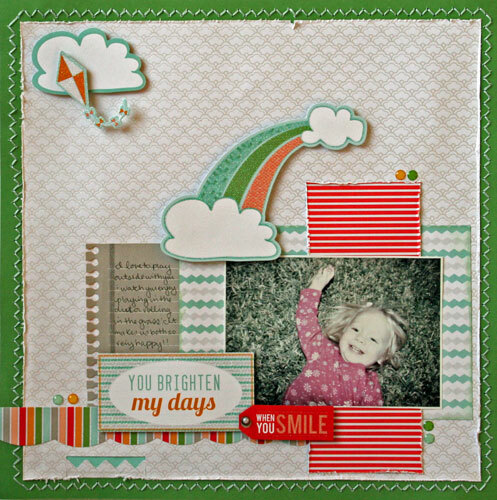 We love all the fabulous layouts our design team has made with children and Corinne! Kids and Corinne go together like peanut butter and jelly. This layout is a perfect example of why that combo is oh so sweet. Don't forget... you could win a $25 gift card to shopsei.com. 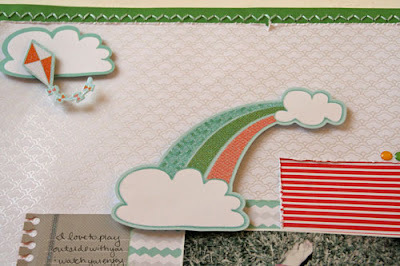 To enter, create a layout using Julie's sketch and at least one SEI product. Then link up to our party, going on right now! You only have one more day.